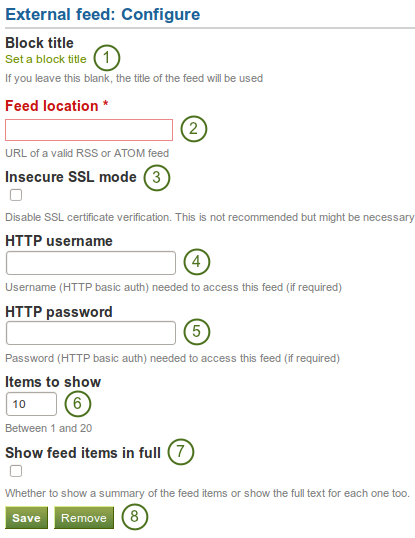 Feed location: Put the entire feed URL from a valid RSS or ATOM feed in here. If the feed is not displayed, try to view it in a regular feed reader to make sure that the URL is correct. Click the Save button to accept your changes, or click the Remove button to remove this block from your page. Content URL: Paste the embed code or the URL of page where the content is located. Width and Height: Choose the width and the height that the content should take up on the page. If you use the embed code, you still have to provide the correct width and height although they already exist in the embed code. Mahara ignores these variables from the embed code. 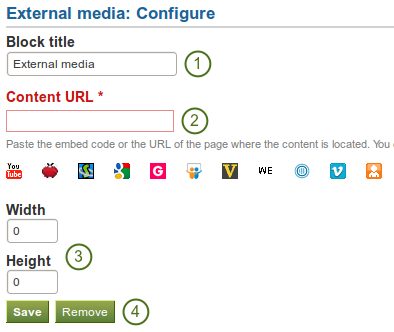 Embed code or URL: Depending on what kind of content you wish to display, you either provide the embed code or the URL. Click on the button for more information on how to embed each Google component. Click the Share button and then Publish / embed (upper right-hand corner) OR if you use the new interface: Click File in the menu bar and then Publish to the Web. Click on File in the menu bar and then Embed this PDF file… / Embed link…. 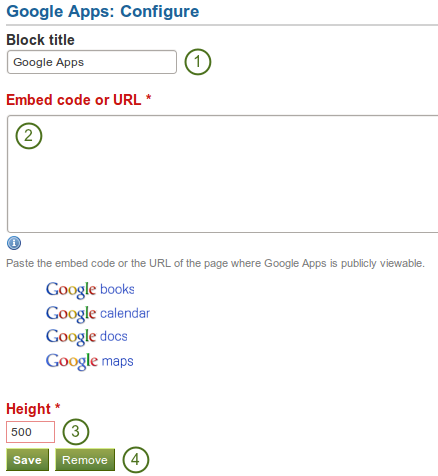 Paste it into the Embed code or URL box in the Google Apps block. Alternatively, you can export the document into your Google Documents and treat it like any other document (see the section on Google documents above).